I’m Adam Pearce and I work in Data and Analytics. I’m also part of the DWP data visualisation community. I’ve developed an online learning resource to encourage people to think more about communicating with data. Understanding our users and being empathetic towards them is a key part of our work in DWP Digital. We’re driving hard for visualised analytics to be the norm not the exception, and design-thinking and empathy in data are incredibly important to us. It’s important to realise that data visualisation is not just for analysts; it can be an engaging and insightful way for anyone who needs to present information. So in the data visualisation community, we work with teams across the whole organisation and collaborate on good practice. We’re also asked to provide advice and training, including to places like the European Commission. Our training has evolved over many years and increased in popularity and scope. This became quite time-consuming to deliver and to keep everyone up-to-date. So recently, Ryan Dunn and I - with the support of the community - decided to create a more modern, open and convenient way to deliver the content. To create the new online learning resource, we started by consolidating material from our previous training and experience. Then we added examples and resources we thought were helpful to make people think a bit more about the communication side of data. Over the last few years, we’ve been lucky enough to attend the global graphical web conferences that showcase new opportunities and future directions in visualisation on the web. We’ve got to know some truly inspirational people from the world of data visualisation, in particular Alan Smith, Rob Fry and Andy Kirk whose content and examples feature in the new online resource. Although I developed the site – https://dataviztraining.dwpdata.info – my background is in maths and statistics, and I’ve had no formal training in website development! This is the first iteration and initial feedback from across government has been positive. Going forward, we hope to collaborate with other departments, keeping the training up-to-date and expanding it to include more interactive web-based visualisations. If you’re interested in having a go, it should take less than an hour to work through. And we’d love to hear what you think to help us improve the resource together. Find out more about the Data and Analytics opportunities we have available in DWP Digital on our careers website and have a look at our LinkedIn page. 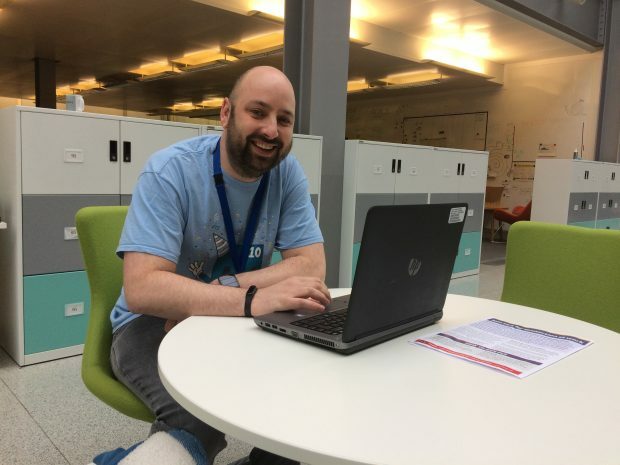 You can also find out more about what's happening in DWP Digital by subscribing to this blog and following us on Twitter @DWPDigital. Wow well done 👍🏽 I am really excited to try this training. Thank you and glad you like the blog. Hopefully you will like the training as well. Any feedback you can give us to help improve it, would be most welcome. This is really useful. I work in the NHS and can relate to quite a few of those slides. Would be interesting to have some similar training here. Cheers Joe, glad you enjoyed the training and found it relatable. Happy for you to share round the training if you think others would find it useful. Adam, this is fantastic. Really, really useful and instructive. Whilst I know you didn't author them, the inclusion of the Dark Horse analytics stuff was a bit of a revelation to me. Thank you for their inclusion. As someone who often struggles to articulate things visually, this is so illuminating!